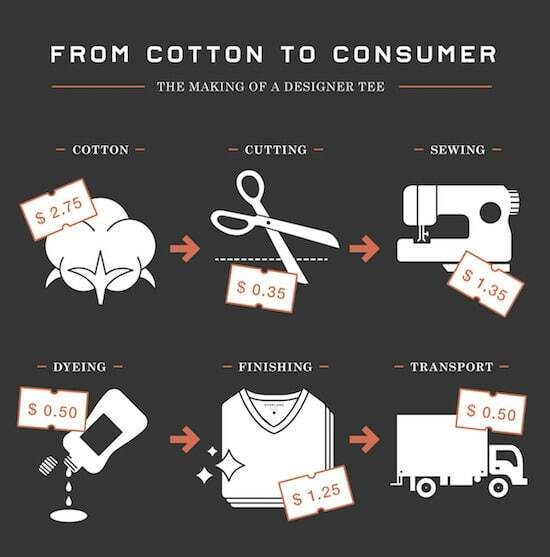 In 2011, it was relatively unknown that most designer tees are marked up as much as 10 times. 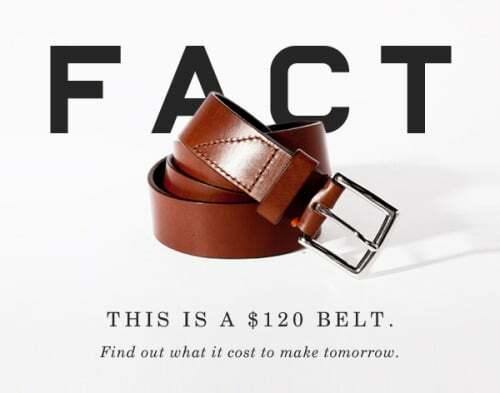 In the traditional retail model, manufacturers normally double their cost before selling clothing to a retailer, who then doubles or triples the cost they paid. 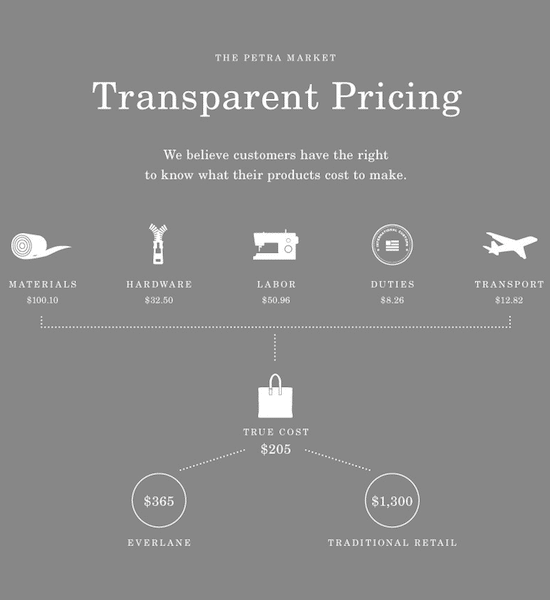 Ultimately, a $6 tee shirt can be sold to the consumer for $50 or more. So, Preysman set out to educate his potential customers prior to launching. The message was clear: you are paying too much for your tee shirts. Preysman’s infographic was a viral masterpiece. The Tumblr post was shared across the social network (it now has over 19,000 notes) and spawned spirited discussions about retail markup among social media and fashion blogs. People were suddenly aware of a problem in the fashion industry, and Everlane was there to help. The brand launched their site shortly after the post with one style of tee which sold out almost instantly. 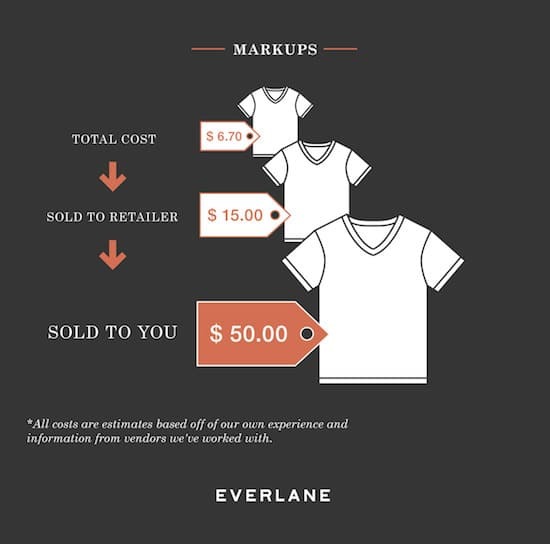 Though Everlane used an infographic to disrupt a specific aspect of the fashion industry, the tactic can be applied to any startup that is offering a valuable solution to a customer’s problem. Because 65% of the population prefers learning visually, infographics are an efficient way to demonstrate a startup’s unique value proposition and in some situations inform the customer of a problem they didn’t know they had. Think of it as a visual elevator pitch. As you prepare the launch of your startup, consider following the old adage of “show, don’t tell” by using an infographic (and a little viral marketing) to illustrate your startup’s value. Assuming that you are truly disrupting an industry, the infographic will be an indispensable tool for both educating and gaining customers. If you lean more towards “entrepreneur” and less towards “artist,” the illustrator network at crowdSPRING can help you turn your lengthy text into an easily digestible infographic with an Illustration Project. With an average of over 100 entries per Illustration Project, you can confidently select the best infographic for your brand and audience.